No matter how much exercise you work into your daily routine, you can’t be in optimal condition if you’re not eating right. 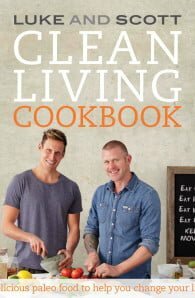 With this in mind, Luke and Scott have created a collection of recipes that are easy to make, delicious to eat and, best of all, great for your overall wellbeing. The paleo diet – also known as the ‘caveman diet’ – is based around the belief that you should only eat what you can catch, pick from a bush or forage for. So cut out all those hard-to-digest grains and unnecessary sugars, and fill up on these delicious, nutrient-dense meals for breakfast, lunch and dinner. 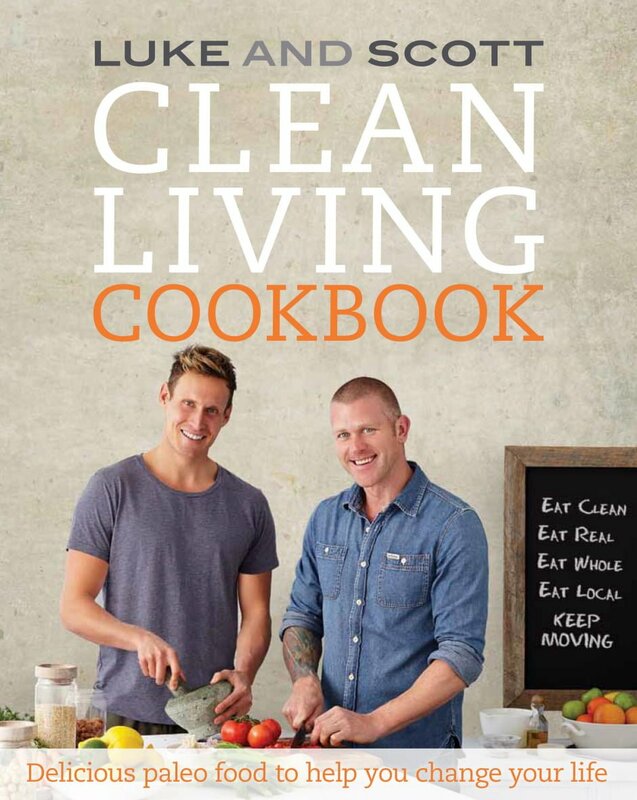 Luke Hines, along with Scott Gooding, won the hearts of the Australian public with their healthy food revolution on the hit show My Kitchen Rules and continued to spruik the message with the bestsellers Clean Living and Clean Living Cookbook. Luke is a qualified surf lifesaver, an internationally recognised personal trainer, and a lover of healthy, fresh food. Luke runs his own personal training business in Bondi and lives with his six-year-old black Labrador, Bailey. UK-born Scott Gooding is a qualified personal trainer and owns his own fitness business in Sydney's eastern suburbs. Scott's love of good food and cooking were encouraged at a young age by his mother and father. He lives in Double Bay with his son.